Stacy Spikes, the former CEO and co-founder of MoviePass, helped change the way people think about going to the movies. With PreShow, he wants to do it again. 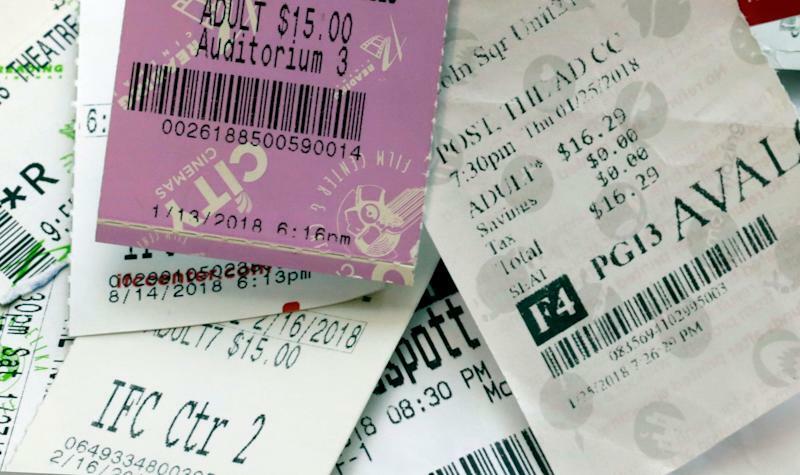 The New York City startup, funded with Spikes’s own cash and a Kickstarter campaign, lets moviegoers choose the film to watch in theaters from PreShow’s iOS or Android app, launching in July. In exchange for watching a 15-20 minute piece of branded content, they receive a virtual credit card loaded with credits towards buying a movie ticket at any theater in the U.S.
There’s a catch, of course. You can’t just load up that 15 minute-plus ad on your smartphone, walk away to do some laundry, and let it run its course. PreShow uses facial tracking technology while the ads play to check that the user is watching. If they stop, the ad pauses and only resumes once they’re looking at their phones again. While the facial recognition feature will put off some people, Spikes contends it’s done so brands know PreShow users are really watching — not just letting the ad run on their phones while they’re doing something else. “If you’re asking for brands to go deeper in engagement and pay a premium price, one of the challenges is: is anybody watching my spot?” explains Spikes. Think of PreShow as Spikes’s second act. His first, MoviePass, generated excitement soon after it was founded in 2011: Pay $10 a month and watch as many movies in the theater as you liked. But the company’s disruptive business model irked film exhibitors like AMC Theaters (AMC) which threatened legal action. Moviepass also ran into problems staying afloat financially, temporarily running out of funds in July 2018 even after selling a majority stake to Helios and Matheson Analytics Inc. (HMNY) months prior. Spikes stepped down as CEO in 2016 and was let go from Moviepass in early 2018, in part over a disagreement with the direction of the company, according to a PreShow spokesperson. MoviePass did not return Yahoo Finance’s request for comment. MoviePass continues to flounder. As Wired points out, the company has changed its pricing plans at least seven times over the last year and a half. But Spikes looks back on MoviePass as a largely positive experience. Spikes could be onto something. Preshow’s Kickstarter campaign, launched on Thursday, surpassed its $10,000 fundraising goal in 24 hours. That doesn’t mean PreShow will succeed where MoviePass stumbled, but it proves at least some moviegoers still like a good bargain, even if the bargain means watching a 15-minute ad.